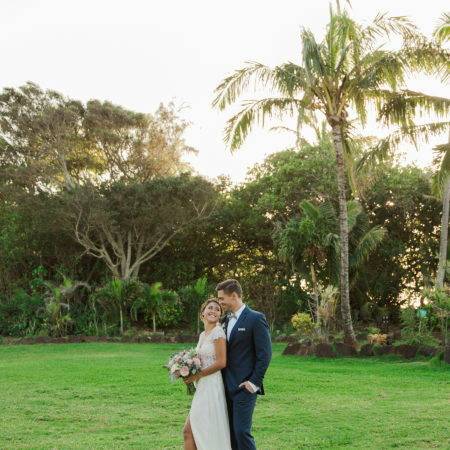 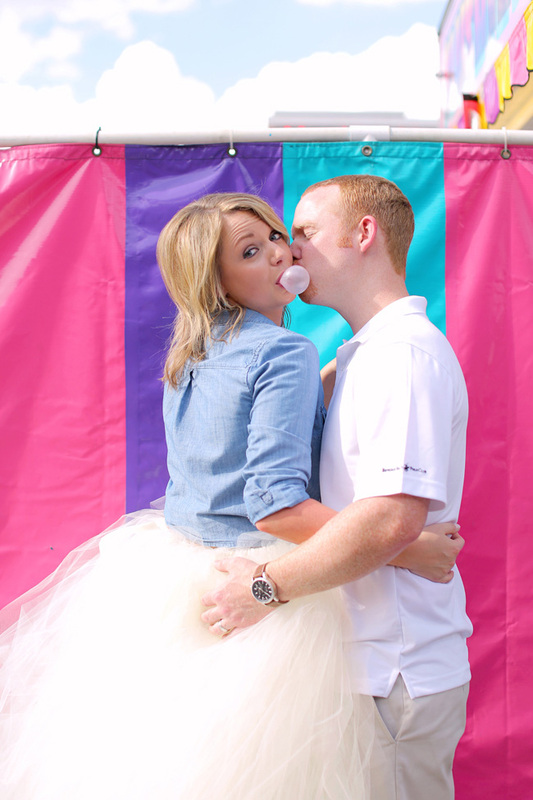 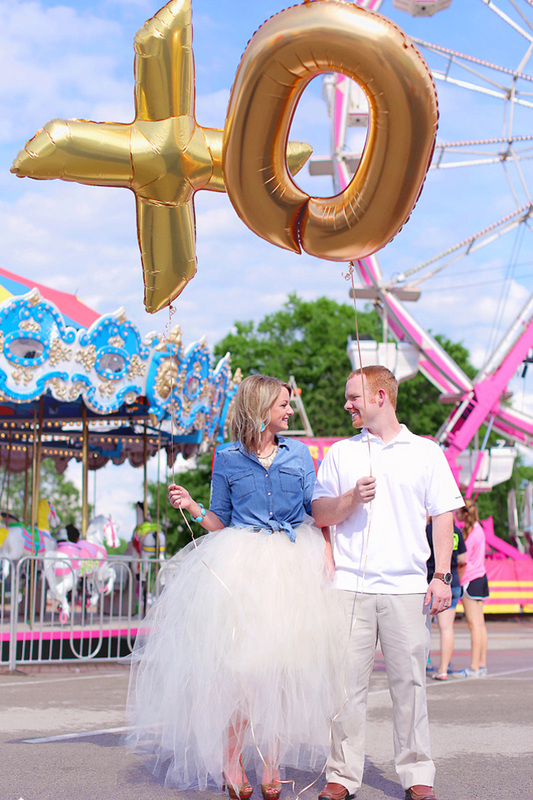 You’ve simply gotta love a giant, fun filled, tulle skirt! 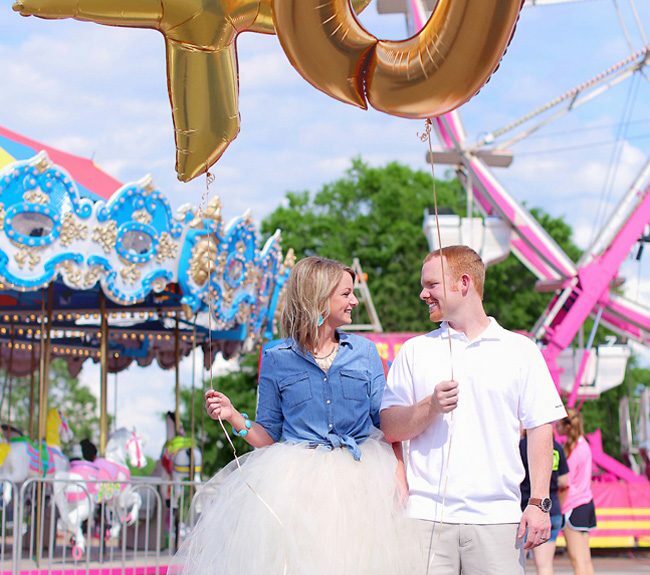 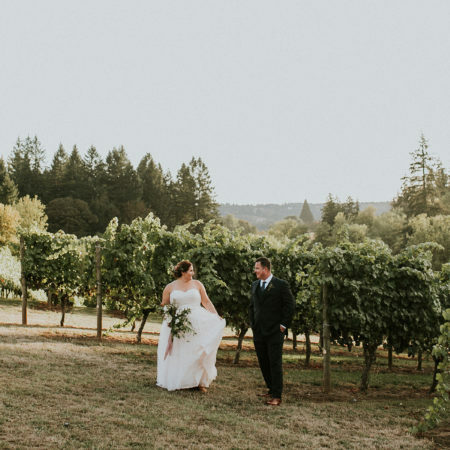 Full skirts have been making their rounds these days with long tulle skirts becoming a revived star. 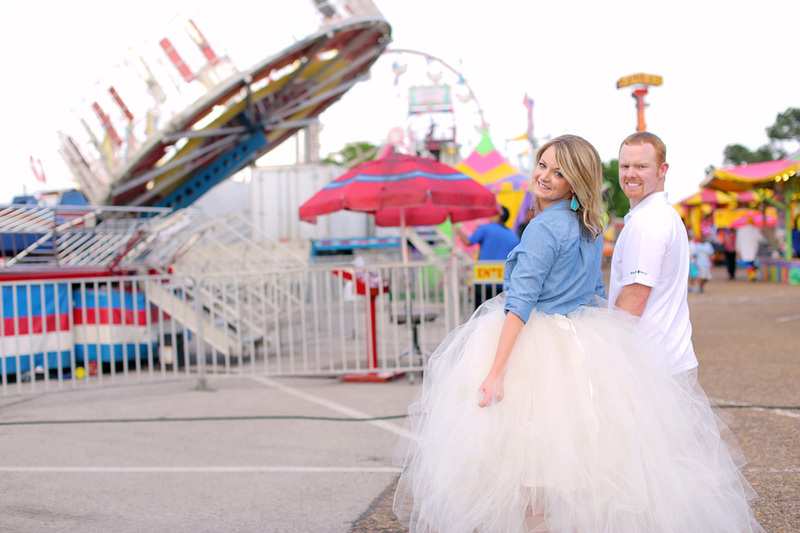 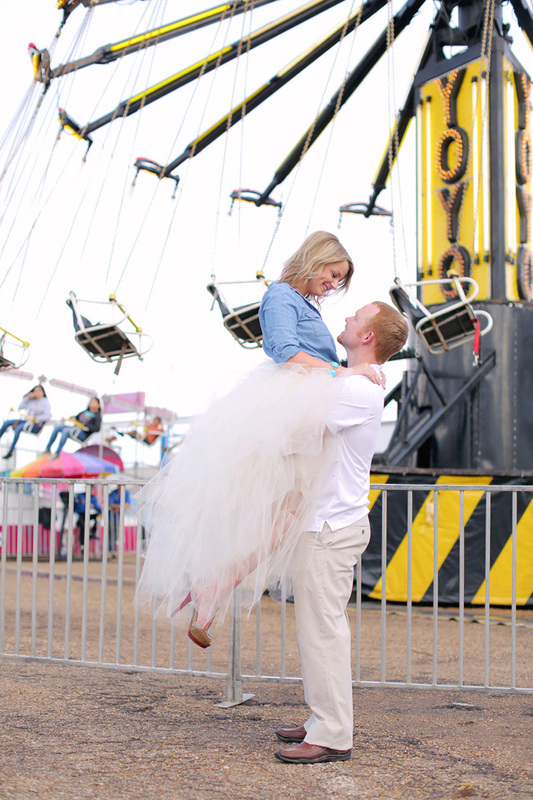 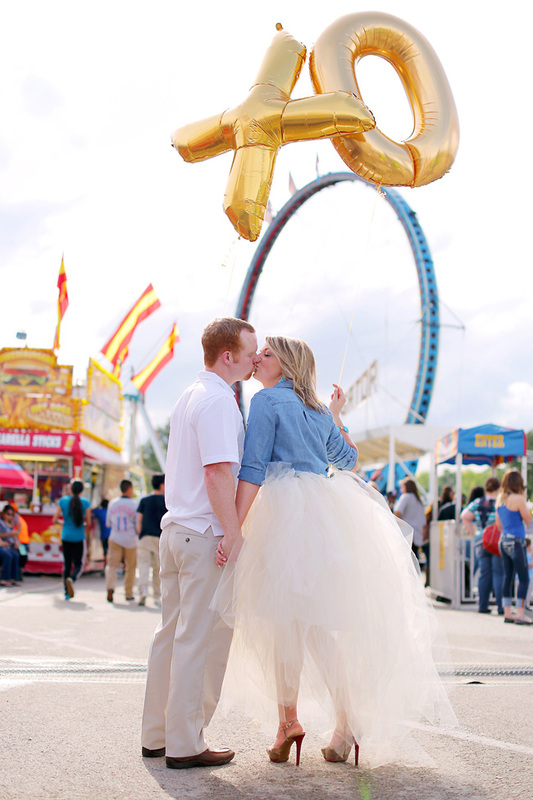 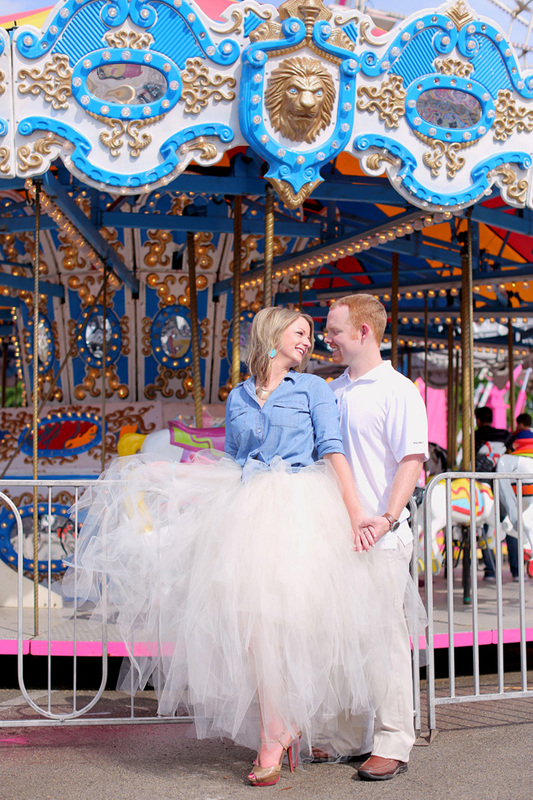 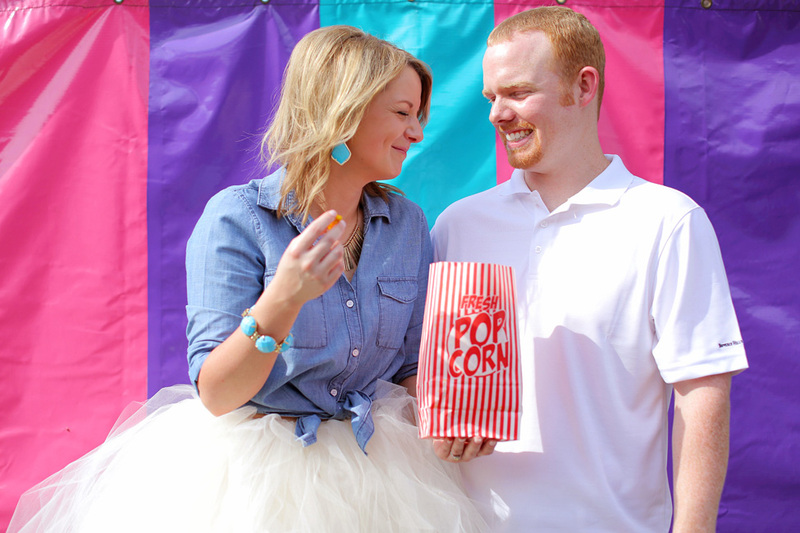 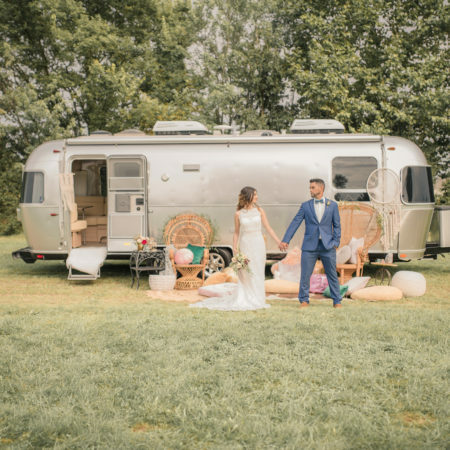 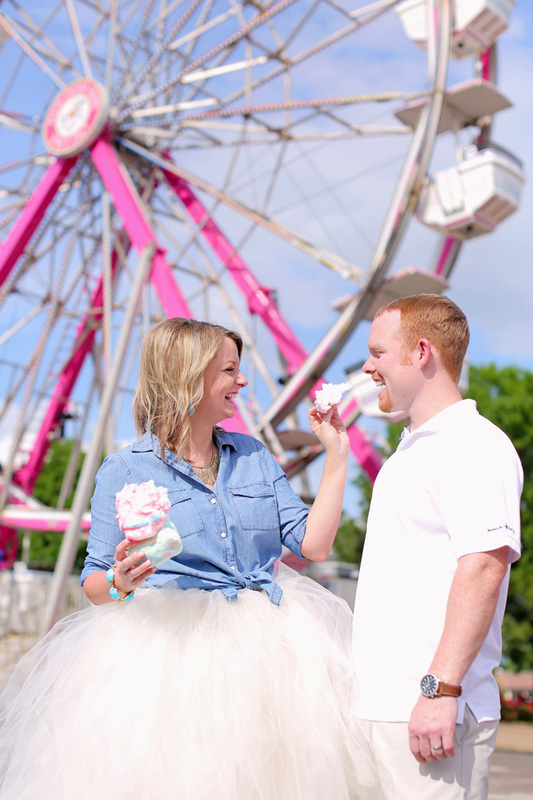 Today’s fun loving couple took a handmade tulle skirt by Gema of Photography By Gema for a playful romp around a local carnival engagement session. 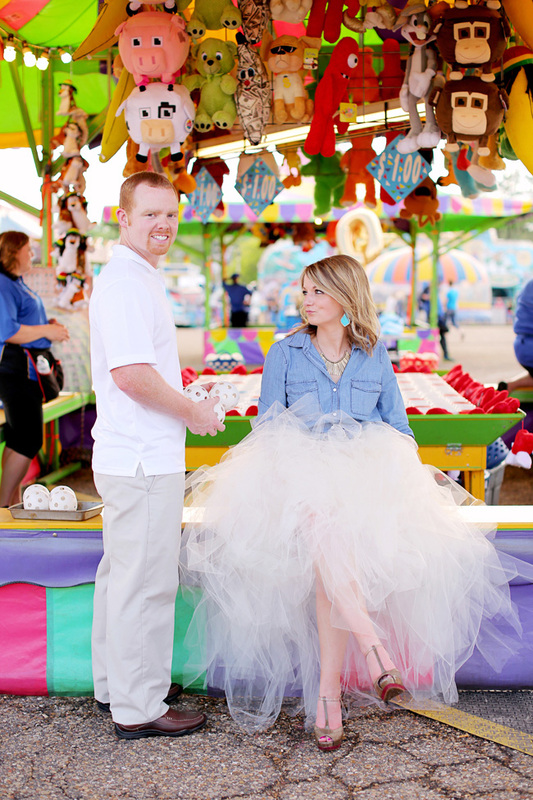 While the tulle skirt is fun all its own, I am loving the jean shirt pairing giving it a touch of country sass! 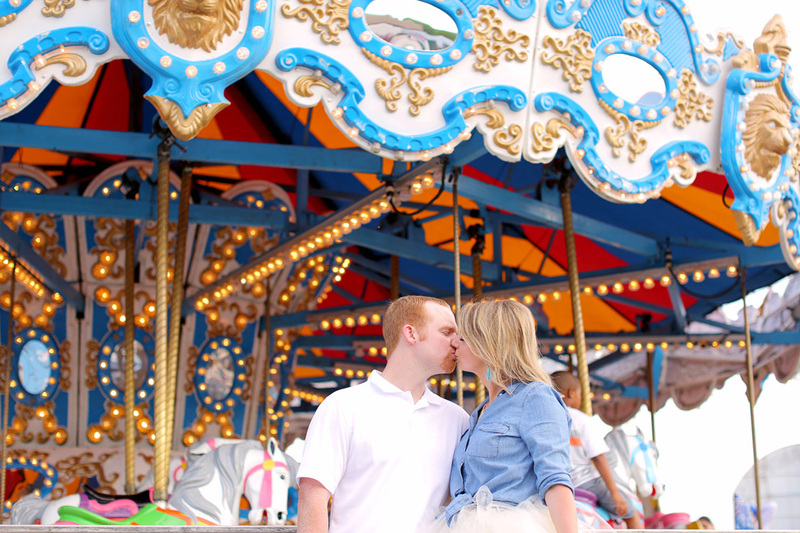 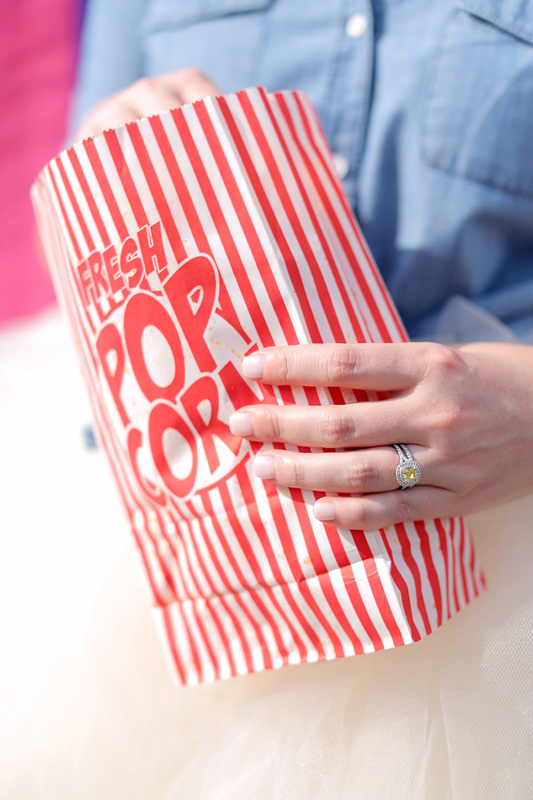 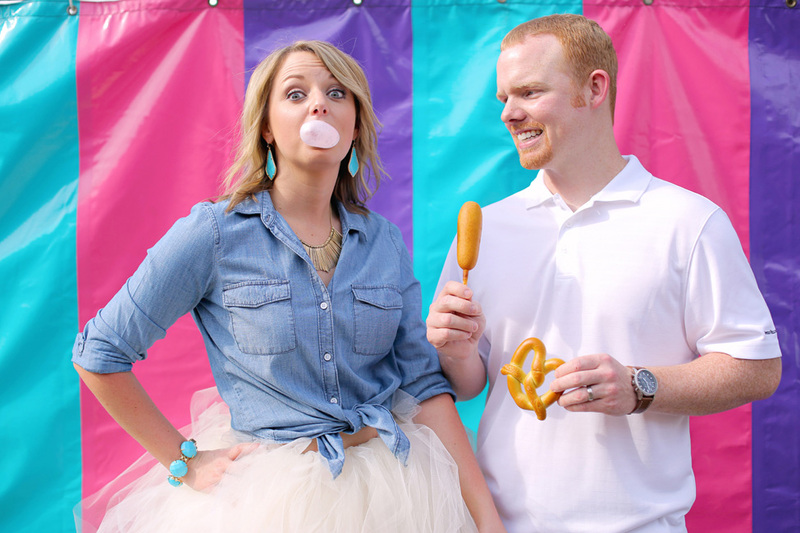 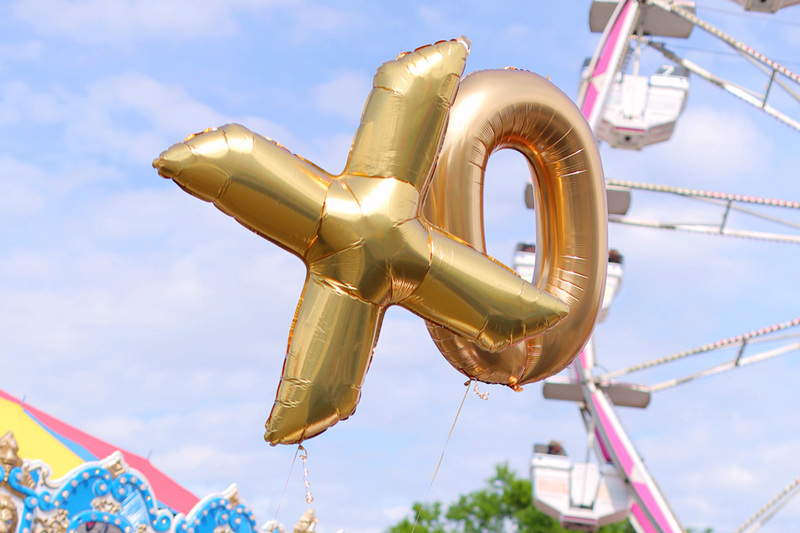 From corn dogs to popcorn to stolen smooches in front of an iconic carousel, there is a youthful spirit that you cant help but eat up!